Marine archaeologist Jack Howard could not believe his eyes. From his Aquapod hundreds of metres beneath the Black Sea, the former Special Forces soldier peered at a giant statue of a bull at the entrance to a magnificent city, still majestic and intact 8,000 years after it was buried by the rising waters. Tutankhamun’s tomb, the walls of Troy … the hallowed discoveries of archaeology faded next to the greatest discovery of all time. 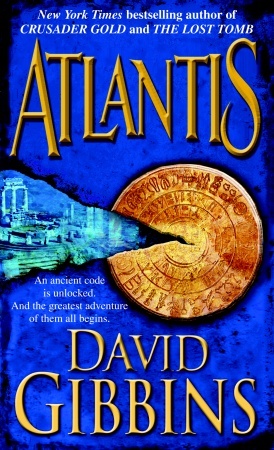 Here before his eyes was the fabled city of Atlantis. For Gibbins, the truth is more straightforward. His novel posits the idea that the lost city could be in the depths of the Black Sea, an area once lush and fertile before flooding caused the rapid evacuation of the area. ‘Two very recent discoveries underpin my theory in the novel,’ Gibbins says. ‘First, the startling evidence about sea level change after the Ice Age.’ The facts here are undisputed. Five million years ago, the Mediterranean dried out after being cut off from the Atlantic. What is now the Black Sea also greatly reduced in size. When the Mediterranean began to fill again during the “great melt” at the end of the Ice Age some 10,000 years ago, the Black Sea, separated by the Bosphorus, took another two thousand or so years to fill. According to Gibbins, a great civilization came to its peak in the region during this period, until water crashed over the Bosphorus, flooding the land and creating today’s Black Sea in less than a year. But far from entirely disappearing, the inhabitants and their culture, religion, language and technology dispersed throughout Europe, the Middle East and North Africa – a diaspora that formed the basis for civilization as we know it. 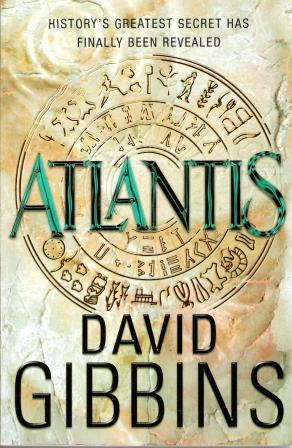 While some purists might accuse Gibbins of being slightly wet for not definitively stating where Atlantis is, it would be unwise to tell him this to his face. Like his fictional alter-ego, Jack Howard, Gibbins’ life can make him seem like a more adventurous cross between Indiana Jones and Jacques Cousteau – although he admits that Howard’s James Bond-like characteristics might be mere wishful thinking on the part of his creator.